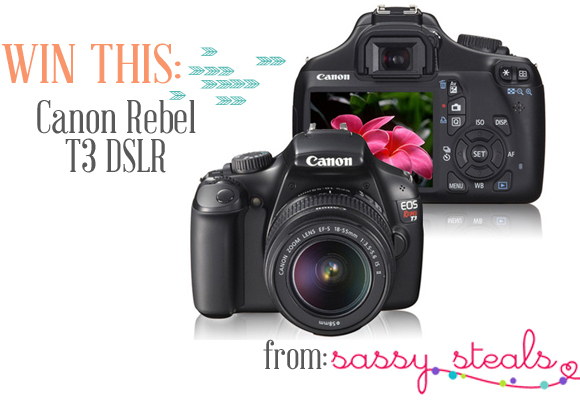 Canon Rebel DSLR Camera Giveaway from Sassy Steals! Yup! You read it right, Sassy Steals and I are giving away a Cannon Rebel today! Now tell me this isn't the perfect way to start your week. Around Christmas time Tori from Sassy Steals and I gave away a KitchenAid mixer and you guys loved it, but this time we thought we'd shake things up a bit and try out a giveaway with a Canon Rebel! With summer coming up we knew you guys would have LOTS of fun, happy pictures to take of your families, and we hope that this can really help someone out! Cute accessories, gifts, handmade goods and more at a freakin' great price. 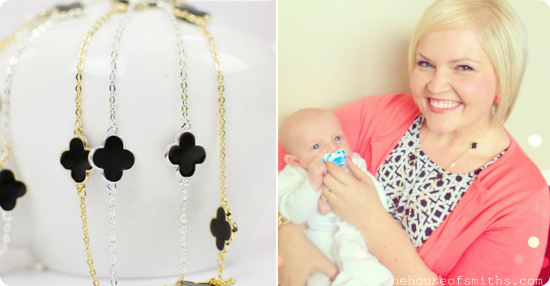 Every morning I'm excited to see what cute new things are on my favorite deal sites because they always have such great stuff, and just yesterday at my nephews baby blessing I wore my Sassy Steals black clover necklace! There are lots of great steals to be had right now over on the site, and if you use the coupon code: 'HOSmith10' you can get 10% off your entire purchase. All you have to do is fill out the requirements on the Rafflecopter widget below, and you're done! Thanks for the awesome giveaway Tori, and for always supplying us with fabulous goodies each day. Well, my chances will be like winning the lottery, but sure willing to give it a try! You're right, Shelly, this is the perfect way to start the week. I love the Canon Rebel. I also love your house. Thanks! Ooooh, I've been eyeing the t3 canon for months, ever since I borrowed one to shoot my sister's wedding. I WANT ONE!!!! Great giveaway!! Thanks for the opportunity! Oh my goodness, I keep almost buying this camera and then not wanting to pay for it :) Thanks for the AWESOME giveaway! I live your giveaways! I wanna win this to give to my mom!!! You my friend are the Giveaway Queen in my books! Keep the posts coming. I just love reading your blog. I tried those cinnamon rolls from the other day and they seriously were fantastic! Ps - love your outfit you wore to the baby blessing and that little guy is so adorable! Wow ow wow, that would just totally make my day! I love your blog, your style, your personality!!! This would be amazing. I was just telling my Mom yesterday that this is the next camera I want. Thanks for the chance to win. I too love Sassy Steals, they do have some really great deals on some amazing items. I entered! This would seriously be a dream come true! Oh wow this would be awesome! I've been drooling over getting a camera like this but after closing on our house and starting work on updating it, there's just no room in the budget. Is it just me? I don't see the widget to enter :( I could SO use this to capture our FOUR kids. They are CONSTANTLY on the move and I have a phone to take pics with... No, really... a phone! This would be AWESOME to win! By the way, I so enjoy you and your blog! Eeeeek this is a great giveaway!! Thank you so much for hosting :) My fingers are crossed. I have been a follower of your blog for a long time and I always enjoy reading your posts! This is a fabulous giveaway thank you soooo much!! what a cool gift! thanks for the chance to win. love your blog and enjoy all that you post! keep up the great blogging!!! thank you for the chance to win such a wonderful gift. enjoy following your blog! This would be just in time for our trip to Europe. Thanks so much Shelly & Tori!!! 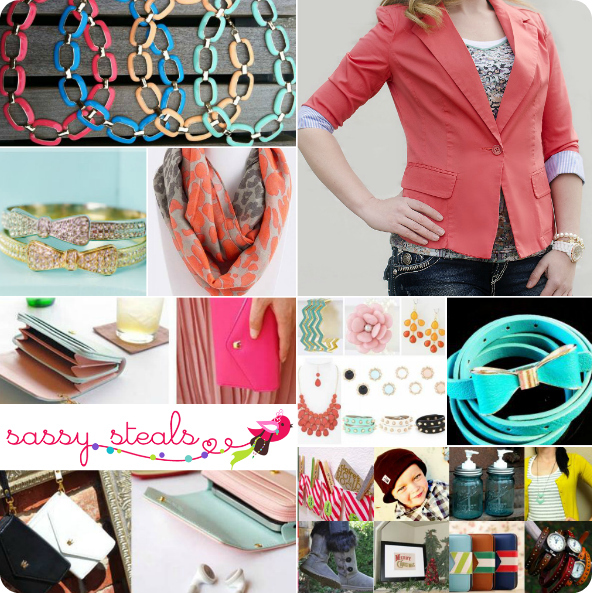 I love House of Smiths and Sassy Steals!!! I am keeping my fingers crossed!! Thanks! What a great giveaway! I would be gifting to my sweet daughter that wants to pursue photography. Crossing my fingers! Thanks for this great giveaway! I will be passing on to my sweet daughter who is wanting to pursue photography. Crossing my fingers! I've been dying for a rebel. Thanks for the great giveaway! Wow!!! This is soooo sweet! You gals rock :) love your home too! Awesome. I'm sending this to a friend! This is such an amazing giveaway! I'm a beauty blogger who is in need of a much needed new camera! Love your blog! You are fabulous!! Signed up and crossing my fingers!! What a great giveaway! Signed up and keeping my fingers crossed! What a great giveaway! Thanks for offering this great giveaway...how exciting!!! Thanks for offering this great giveaway...very exciting and a great Mother's Day gift surprise...fingers crossed!!! I know this is crazy, but all of a sudden I'm the grandma planning a huge family vacation to Disneyland. Would love to be the one to capture those little guy's excitement with a new camera. Sorry this is anonymous, I'm also the grandma that doesn't know what all the other comment as options mean. Wow! We have been looking for a new camera to take with us on our honeymoon to Italy in Sept...this would be dreamy! Wow! We have been looking for a new camera to take with us on our honeymoon to Italy this Sept...this would be dreamy! Oh man! I've been needing a new camera for over a year after mine broke! I feel that my crappy samsung camera photos do not do my twins justice! Ahhh the camera of my dreams! I always catch up on Wed so at first I was super bummed I didn't catch it on the day of! I am so glad it is still open! Love it! you have no idea how badly i need this. in about a month i will be going on a bucket list trip to alaska-something tells me a fancy camera will really capture the scenery better than my regular point and shoot. Thank you for this awesome chance to win!! Whoop Whoop! what an awesome giveaway. I've dreamed of owning a nice camera one day. The ol ball and chain as been in dental/residency school and the budget is tight! This is such a great giveaway, thanks for the chance to win. I love your blog and the honest and sincere way you portrait your projects and family. You have impeccable style. Thanks for this great giveaway! My fingers are crossed! Would really love to win this!! I have an old Olympus digital camera that bit the dust and I LOVE taking pictures of my family. Fingers crossed. WOW-- thank you guys for hosting this giveaway! Best of luck to everyone!!! Yay for a canon rebel giveaway! Thank you! I so need a camera. Thanks for the giveaway. So excited about this giveaway! Would love to have the new Canon! Ok now, help a fellow blogger out! I need this so bad! Thanks for the opportunity! It is an awesome camera! Shelly how we gonna know the winner ?